The Sumatran tiger (Panthera tigris sumatrae) is a rare tiger subspecies that inhabits the Indonesian island of Sumatra. The Sumatran tiger is the only surviving member of the Sunda Islands group of tigers that included the now extinct Bali tiger and Javan tiger. Today, the last of Indonesia’s tigers—numbering now less than 400— can be found in the remaining patches of forest. Deforestation and poaching pose the biggest threats to this species which must not end up like its extinct Javan and Balinese relatives. However, the Sumatran tiger does represent a uniquely hopeful opportunity for the survival of an individual subspecies of tiger in the wild. The animals are isolated geographically on the island of Sumatra, which means they have been genetically isolated. This offers felid biologists the opportunity to study the effects of such genetic isolation on a particular subspecies, unlike other surviving subspecies, which until the beginning of the last century, could feasibly have had contact with neighboring subspecies. Thanks to the presence of a one-of-a-kind research facility at Taman Safari on the island of Java, an important scientific, community and political collaboration can preserve these tigers and their extremely rare genes. Sumatran Tigers are also the focus of conservation breeding programs in European, American and Australasian zoos; however very few new specimens have been introduced into the European breeding program in the last twenty years. 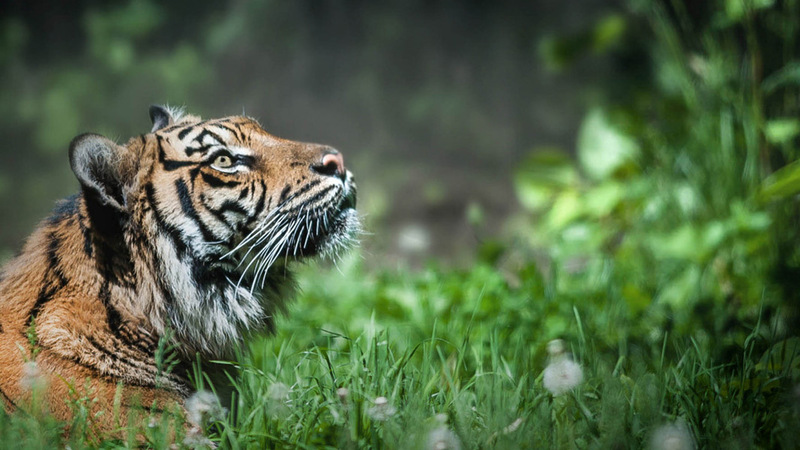 Nature Resource Network, Taman Safari and the Indonesian Government worked together with Berlin Tierpark to bring a carefully selected new pair of young tigers to Europe so that their genes may be introduced into the conservation breeding program. Such transfers are very complicated and time consuming to arrange, and few zoos have had the time or manpower resources in recent years to complete the process. A conservation success we are proud to have played a part in arranging! 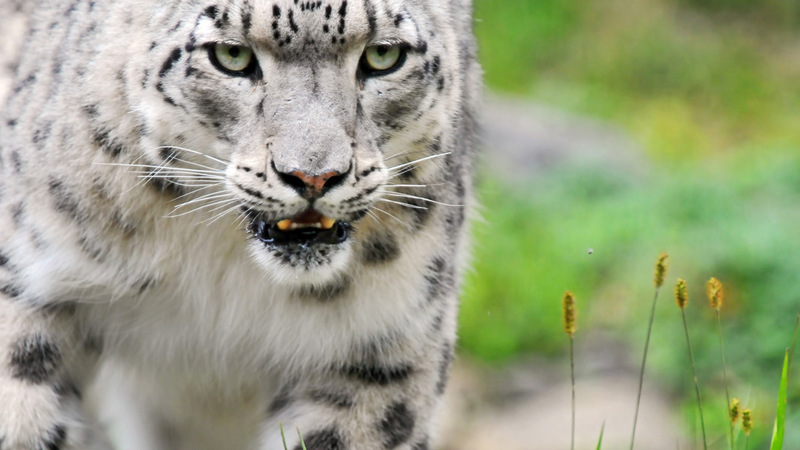 In October 2012 Magdeburg Zoo, asking for a help or realization of transport of 1 female Snow Leopard from Magdeburg Zoological Garden, Germany to Kazan Zoological Garden, Russia, has contacted our organization. The transfer was arranged by European endangered species program that was formed in 1987 and currently managing 87 males and 98 females of this species. For this transport we have decided to use a new design of the shipping container– instead of traditional heavy steel and plywood, the crate was constructed y from the laminated plastic sheets. The box was much lighter and easier for manipulation. As always, transport is planned carefully with every detail covered so that VIP guest can travel comfortably. The animal had to be tranquilized before the loading, which started at 8.30. Our driver departed at 9.30 from Magdeburg Zoo to arrive to Prague airport by 14.30 where a animal room was arranged in advance. After the arrival Custom and Ministry of environment checked documentation and cat was ready to depart with late evening flight. Early morning time the customs procedure has occurred in Russia and after that Theophanu, our snow leopard started her journey to Kazan Zoo. Kazan Zoo had already an adult male, originating from the wild, carrying important bloodline for EEP. We hope the offspring will be successfully bred this year and we are able to add another success story to our list of helping zoos achieve their objectives to breed endangered species. For many years there were no new zebra stripes showing up in Australia. The zebra population deteriorated, and with no outsiders coming into the group, became genetically poor; the stripes became more fuzzy and blurry year by year! But the Australian government had to protect the very unique biodiversity of that country, and its excellent disease status: zebras from Africa were and still are banned for many years. This was the situation until 2008, when our US sister company and a small zoo in Australia with big aspirations and a lot of energy, rolled their sleeves up and started working on Operation Zebra in Australia. Nobody thought that an import would be possible. Several years passed in discussion and careful planning, quarantine preparation and obtaining the right candidates for transfer - the right age, parentage and personality - talking to officials and government agencies, testing and retesting, numerous problems with freight forwarders and airlines. Finally, 10 young gentle Grant Zebras who spoke Texan were ready to travel over the seas and far away. What a fairy tale, some would think! But actually, our ten ambassadors are well established now in three Australian facilities and with careful breeding they will sharpen those Australian stripes! ‘Ha!, this is easy!’ we heard from some of our colleagues, but actually documentation for this important project was over 200 pages, a lot of small details needed to be taken care of, many new things had to be procured and some Aussie hats appeared in Texas and mingled with local cowboys boots during that time. A full introduction of new owners to animals had to be made in advance so that the poor zebras did not get totally confused in their new environment. Zebras are a particularly sensitive species and are not very good travelers, so every time there is a need for them to be transferred from one zoo to another, a lot of arrangements have to be made. Being a herd species, they like travelling in groups and they comfort each other in times of stress. We are pleased to say that all ten made the trip successfully and are now leaning Australian …. Before 2007, northern and southern cloud rats, native to the Philippines, did not appear on the zoo species maps. They were present only in one zoo inside their native country. Almost nobody knew about these charming giants, which grow up to 2.6 kg and to an impressive 750 mm in length. This is not fair, when their relatives from other parts of world are well represented in many nocturnal houses, small mammal exhibits and other facilities in zoos. We thought that this charming biggest rat in the world deserved to make its debut in the zoos of Europe, both for his cute squirrely face and the fact that he is endangered and needs attention. We rolled our sleeves up and got into action along with the good people from two zoos, friends of ours, Avilon and Prague. So in 2007, after a lot of correspondence with the Philippine authorities and obtaining the many permits necessary for the transfer of native protected species, the very first cloud rats arrived and found their new homes to begin with in Prague zoo, then in Plzen, Jihlava, Leipzig and other notable European zoos. Several other groups of rats have arrived since that time, forming a collection of founder breeders which were placed in zoos that were interested to breed these two endangered species. Currently the ESB has a fine group of rats and although unlike regular rats they don’t breed large numbers offspring is blooming, and we expect this will grow as more zoos join the programme. 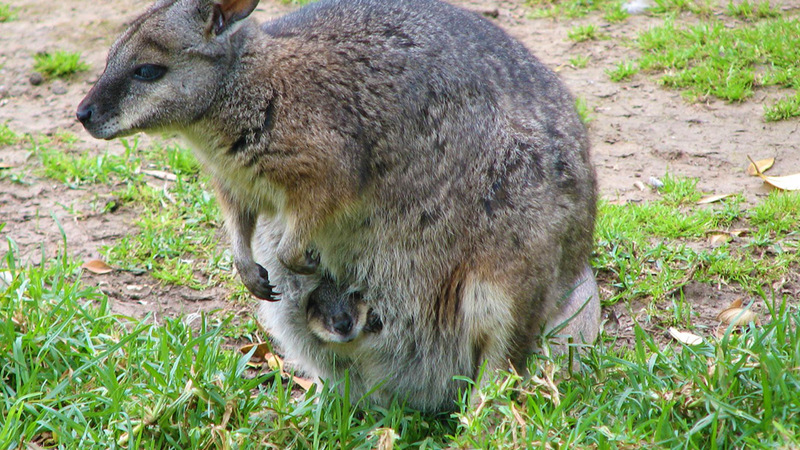 Dama Wallabies were introduced to New Zealand in the late 1800s along with some other species of wallabies that are native to Australia only. They are officially classified as a noxious species in New Zealand and for some time the New Zealand Government conservation agency has been working on their extermination as they pose a big threat to New Zealand native flora species. 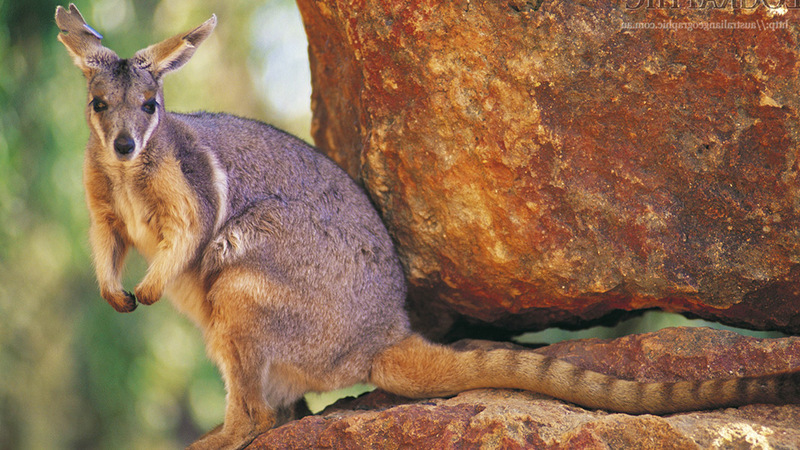 In 1999 Adelaide zoo initiated a project for the reintroduction of Dama Wallabies from New Zealand to the Monarto sanctuary. Several groups of animals were successfully transferred with the help of Source New Zealand Ltd who provided expertise in the preparation of documentation, airline bookings and special boxes for these VIP travellers. Monarto sanctuary is very large fenced area of land and the animals were released into conditions as close to natural as possible. Given the fact that they came from the wild, this environment was appropriate for them and soon after arrival they started to breed and produce offspring. In this way a New Zealand pest became an Australian protected species, and the Australian population gained a new bloodline needed for the preservation of the biodiversity of that country. Nature Resource Network is proud of our modest participation in this success story. This is not a story about a reintroduction to the wild! Still it has happy ending, it is a go-home story, and in style! 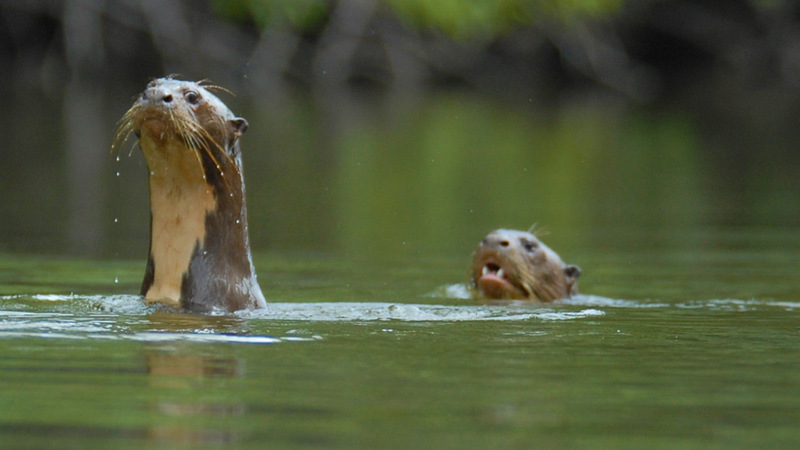 Giant Otters have been bred in Europe for some time independently from those in South American zoos, and the descendants of these animals, originally from the wild, that arrived to Europe many years ago may represent a completely unrelated strain of these amazing swimmers to some of the South American Zoo holdings. The time arrived for one to go home, helping out a zoo in Brazil that desperately needed a male, but is not able to take one from the wild. An important aspect of endangered species programs within all zoo associations is identifying population management goals and recommending good ways to sustain a healthy and genetically diverse species presence in the zoos. 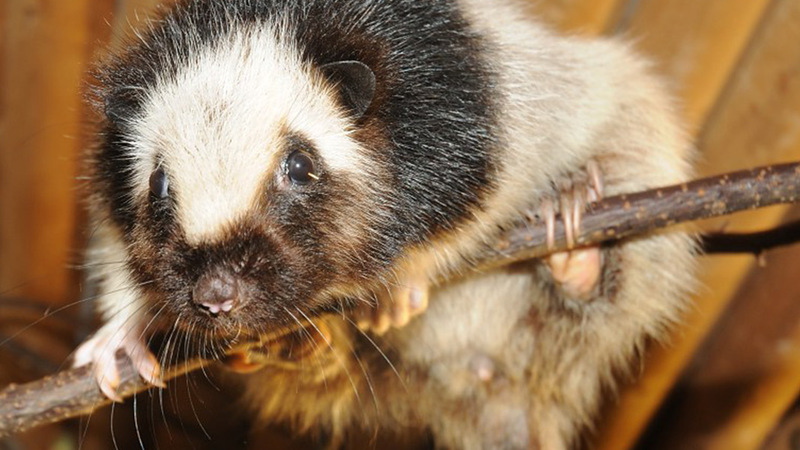 The goals can be supported by the reintroduction of surplus animals to the wild but also, surplus animals are transferred to zoos where a new family member is needed, with the recommendation of the coordinator. There are more than 500 species management programs within the AZA only and almost 400 within EAZA. The other zoo associations also manage many endangered species, with the accent on native species of interest, and those that need special attention or care. Within the EAZA program, a male giant otter is going to fly back home to Brazil, from Dortmund, the home of EEP for this amazing species. NRN will make sure the trip is smooth and well organised for such VIP traveller. The Javan leopard (Panthera pardus melas) is a leopard subspecies confined to the Indonesian island of Java and classified as critically endangered by IUCN since 2008. The population is estimated at less than 250 mature individuals, with a decreasing population trend. A coordinated breeding program for the Javan leopard should not only be designed to preserve the important genetic material, but may also provide the opportunity to increase conservation activities on Java to protect the unique leopard and, indirectly, other endemic species. 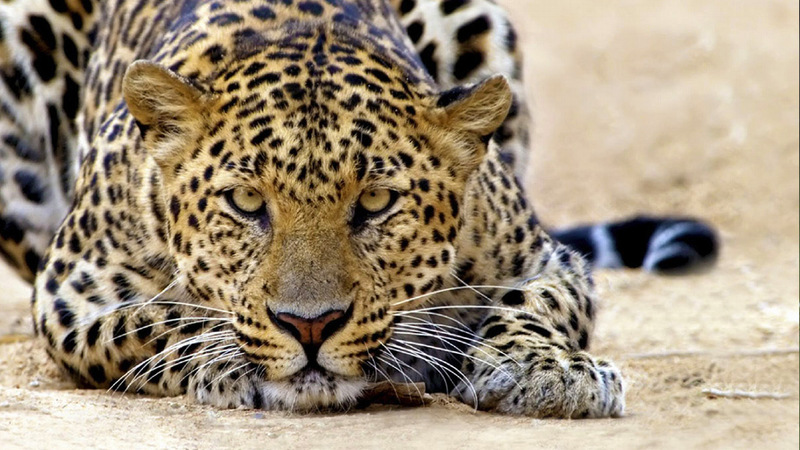 Leopards are among the most adaptive cat species, and reintroducing them to re-establish extinct populations should be considered a realistic option, once effective conservation measures are in place. Nature Resource Network is oriented to assist and support the conservation of endangered animals and was closely involved in the process of bringing a new pair of Javan Leopards to Europe, where previously only one older male remained. With our support an exchange document was written and a new young pair of animals was delivered to Berlin Tierpark, using logistical support from the beginning to the end of the process by our team of specialists. The exchange had been set up in such a way that the wild population was also supported in situ, which gave this project a high level of importance in Indonesia as well. We are proud to note that after the movement of the young pair to Berlin TP, in 2012 the first two Javan Leopard cubs were produced; the father was the older male so the original genetics have been preserved. They were followed by new cubs in 2013, and now other zoos are also becoming interested in keeping the species, joining their efforts to preserve this amazing big cat that needs our help to survive. 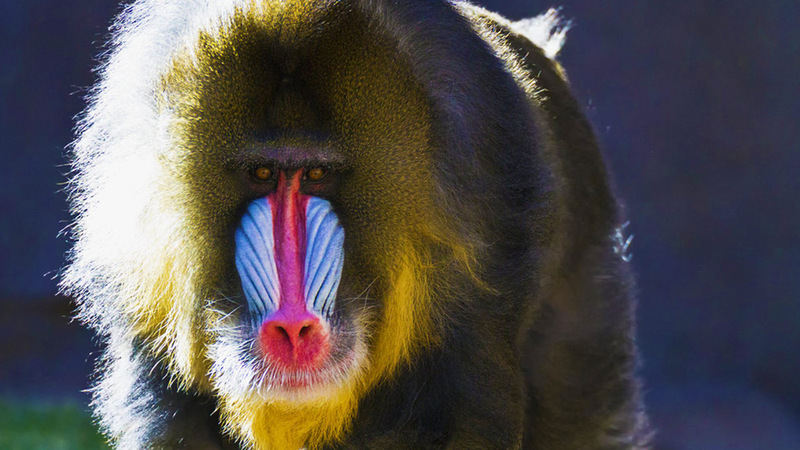 For several years the European Mandrill EEP has been considering relocating some mandrill specimens that are not suitable for further breeding within the program. The population in the EEP is good but every Mandrill male dreams of becoming paterfamilias of a small group and every mandrill girl would like to become a mother which can be the reason for fighting in some mandrill families around the EU zoos. The old boy does not give it up and the young males get kicked out as soon as they show some maturity. Such males need to be moved, either to form a new family or to live in a bachelor group. And as it can be with humans, the girl gets too beautiful and attractive and the old mamma is ready to beat her up for she is jealous. So the girls need to be relocated somewhere where they can freely use their full mandrill charms. NRN actively works with the Mandrill EEP on transport solutions for some of these specimens – for example to an American zoo that is willing to keep the species or to other good locations, not only by helping to arrange the documentation and logistics but also by preparing the health certificate, crates and isolating some of the animals in quarantine before shipping at our registered quarantine in Prague. For this special work we have prepared a brand new isolation room for mandrills, which will have all of the amenities that a mandrill could think or dream of. We expect that they will stay in our facilities for about 8 to 12 months; this is the time it will take to get all of the appropriate licenses, permits and approvals from US authorities. At first we will host a female from Munster and male from Krakow zoo. We hope they will enjoy the enrichment that our chief vet is preparing to welcome them! The Moscow zoo female will go directly to USA, we will play the role of travel agent. Our box designer has already made first class crates with full amenities for this mandrill lady and other our colleagues are making the necessary arrangements for permits and the airline booking. The EEP coordinator, based at Budapest zoo is preparing a few more mandrills to be transferred to other regions where this species is needed so we hope to also handle these transfers so that they are done smoothly and with attention to the maximum comfort of the animals. The Margay (Leopardus wiedii) is a spotted cat native to the Americas named for Prince Maximilian of Wied-Neuwied in Germany. In recent years this species has faced a large decrease in population in the wild and is listed as endangered. 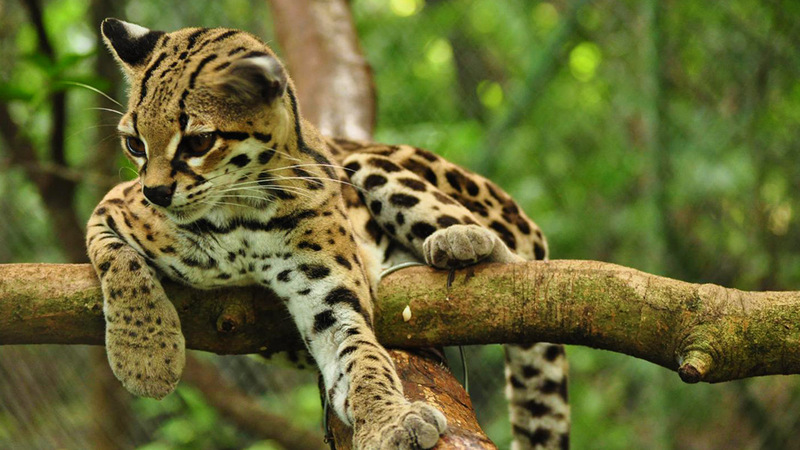 The Margay population is threatened for several reasons. Over the years people have hunted them mostly for their pelts, but subsistence hunting has also been a factor in their population decline, along with a loss of habitat through deforestation. The reclusive nature of this cat and the terrain in which it lives make it difficult to provide accurate current wild population estimates. The goal of most modern conservation programs is to preserve entire ecosystems, not just individual species. There are many small cats within the Central and South American rain forest habitats in need of protection, but this species is very rare also and inbred in European zoos. 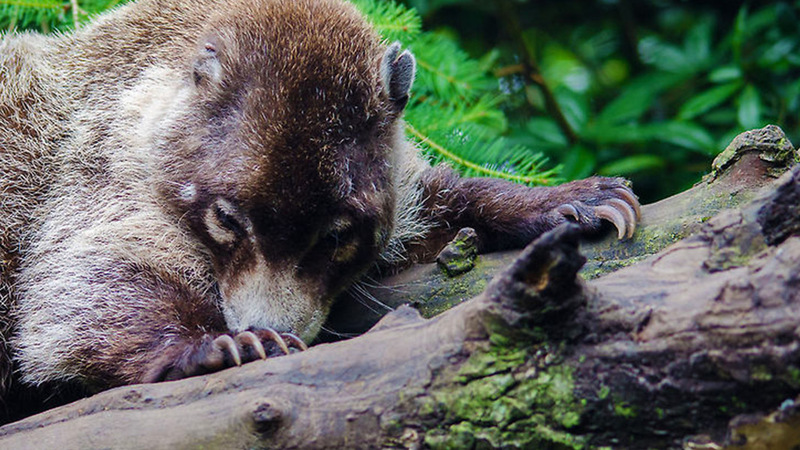 Nature Resource Network, in a joint effort with two zoos in South America succeeded to transfer a young pair of this species to Germany in 2012, and have transferred an unrelated second pair which arrived in 2013. We are still searching for additional unrelated specimens that would ensure the diversity of the species in the European zoo community, but the very complicated administrative procedure for the transfer of native species in some South American countries is decreasing the pool of possibilities, and slowing down the process of preserving this amazing small cat with the unusual name. Philippine Crocodile (Crocodylus mindorensis), one of the most endangered among 24 known species, had laid in Czech zoo her crocodile eggs, for the first time in Europe. 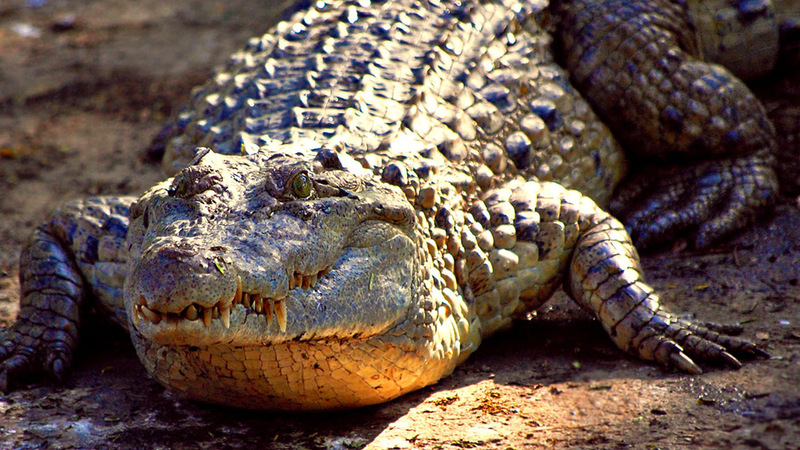 Crocodile ZOO Protivín is from 20 June 2009 an official participant rescue program for the Philippine crocodile. In 2010 and 2011 four young females, adult male and five younger males of Mindanao crocodiles were transferred from one of the Philippine zoos that is participant in the same program. The reason for this transfer was exceptional expertise of Zoo Protivin keepers in breeding difficult species of crocodiles,, the idea of producing the offspring was reintroduction to Philippines or eventually widening program worldwide with more zoos willing to participate. Still Protivin zoo had a good news in February 2013, their big adult male Jack fertilized female Minda in February and on 2nd May she has laid 17 eggs. 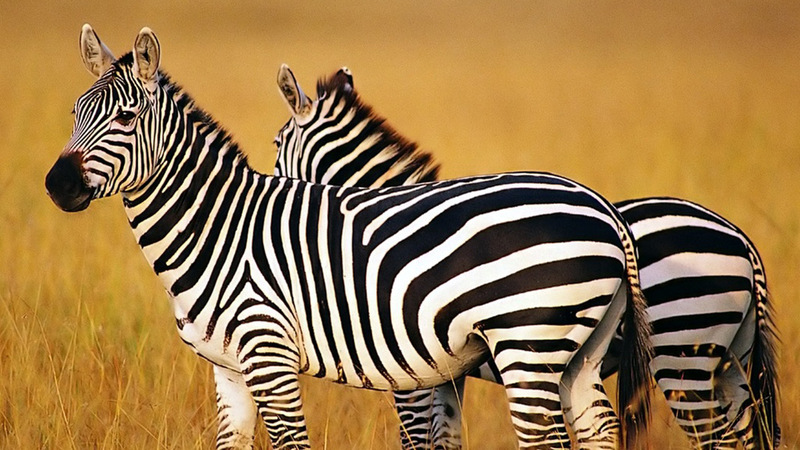 White stripes as a sign of their fertility were found on 10 of them. The time for mating starts with specific vocalisation between male and female, love song in crocodile way. So zoo keepers were listening carefully their second paid, Monty and Golda. The pair performed their overture, which does not sound like Traviata duets though, but is characterized by mutual impression associated with a range of sounds as muttering and barking. This behaviour was compared with a pair of Jack and Minda, and when the love song reached similar sounds to those of Jack and Minda , they were released one to another. Minda lays her eggs on second May 2013, i.e. 87 days after mating, that were collected as soon as they were laid and placed in incubators, at two different temperatures (32°C and 31°C). According to available information, this is first the Philippine two crocodile clutches ​​in Europe. Nature resource Network is proud in helping to join two zoos in such important conservation effort. The Palawan binturong or bearcat (Arctictis binturong whitei) is a subspecies of the binturong, endemic to the Philippine island of Palawan. When zoo specialists started to analyze the conservation and breeding of binturongs, the conclusion reached was that the genetic diversity within the European zoo binturong population was low, and that many zoos have animals of unknown origin, obtained years ago when no attention was paid to subspecies details. Analysis suggested that several ESUs (Evolutionary Significant Units) should be considered for managing the breeding program. ESUs provide a tool to improve captive breeding management by assessing a captive animal’s geographic origin. Such information should also be considered before initiating any reintroduction program. Taxonomic revision is considered a priority for such species, because sub- species with small ranges, if valid, must then be considered threatened. The research should be followed by additions to the captive population of wild-caught or known origin animals from other regions. Despite obvious difﬁculties in studying binturongs in the ﬁeld because they are primarily nocturnal and arboreal, investigations evaluating their ecological requirements and status are essential to make informed decisions about ways of preserving binturongs in captivity. NRN has played and still does play its part in the conservation of this particular subspecies by coordinating the transfer of groups of captive bred Palawan Island Binturongs from the Philippines to interested and committed zoos in Europe and USA; the first pure offspring in Europe was produced in 2012. At the moment we are researching the possibility to transfer known subspecies from Indonesia as a further step in the process of getting to know these amazing animals, in the hope that this knowledge will go back to benefit the population in the wild. In the Middle Ages, alchemists tried to make gold out of less valuable metals. We in NRN are trying to do the same with some animal species which are viewed as unwanted organisms in one part of the world and highly valuable genetically in another part of the world. This alchemist’s work is complicated, requires serious planning and sometimes takes months to be completed; there are many people with good intentions involved in projects like this. This is exactly what happened with the Rock Wallabies (Pterogale penicilatta) that in the year 2000 faced a death sentence on New Zealand’s island of Kawau. The decision made by the New Zealand government was that they should be destroyed, poisoned - there were too many valuable trees on the island which were being eaten by the non-native wallabies. The population was descended from those originally brought to Kawau Island from Australia in the mid-1800s by Governor Grey, who lived on the island and liked the look of this interesting species. Actually he brought many species and released them on the Island – zebras and giraffes, for example – but four species of wallabies were the persistent residents! The New Zealand and Australian governments made an agreement that Australian trappers would be sent to Kawau to catch as many of the animals as possible and transport them back to their native land in New South Wales, where they would become VIP inhabitants and contribute to a breeding program. The animals were duly caught, placed in crates specially designed by us and more than twenty rock wallabies started their journey home, more than a century after their ancestors arrived. Only very few specimens of this species live outside of their native Australia now, in zoos or in the hands of dedicated breeders. We are happy that we were able to save some of the rock wallabies! Wombats are short-legged, muscular quadrupedal marsupials, native to Australia. As with many Australian animals, they are very rare in Europe; the total population was only a few pairs prior to the transfer recorded below. 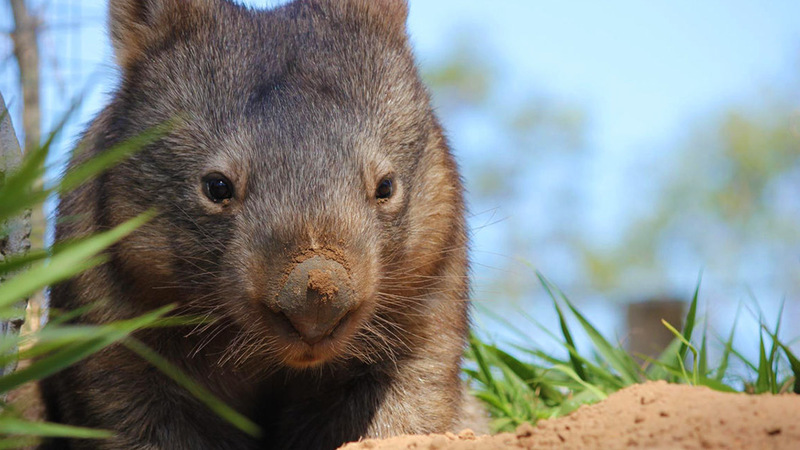 After considerable effort and close cooperation between the Australian Government, Australian and European zoos and Nature Resource Network, it was possible to bring a new blood line of wombats (the Tasmanian subspecies) to Europe. The pair of coarse-haired wombats was introduced to the public and a specially constructed new home on 22 November 2011 at the Budapest Zoo and Botanical Garden. The Tasmanian animals count as real specialties in Hungary, because there are only three other zoos in Europe where you can find them. Wombats were last kept in Hungary almost forty years ago. Most zoo staff had previously considered the transfer of native species out of Australia ‘impossible’. Working through the detailed administrative procedures and the many details that need to be taken care of for the flights, health certificate etc to make the transfer, we also thought it might be impossible several times, but we finally succeeded as a team effort between the two zoos and Nature Resource Network. According to Australian Government requirements, Budapest zoo had designed and built a very comfortable inside and outside facility with the theme of the first miners of Australia – a feature being the fact that it was possible for visitors to see the wombats moving around their underground tunnel system through glass panes. The first breeding season passed with practice but no result – however, during the end of 2012 Molly’s pouch seemed to be growing, and around spring 2013 a little wombat face could occasionally be seen looking out at the world. The first wombat joey in decades is born in Europe! Additional animals are waiting their turn to be transferred to European zoos soon, to join European breeding program that needs several pairs of ‘founder’ animals so that it is genetically sound – importing one pair makes no long term sense. In September 2014 Pari Daiza zoo in Belgium will receive their pair. Wally and Molly had bred while in Australia: the next pair to come to Belgium also have bred so are likely to be good contributors to the European breeding programme. After a long period of little activity, recent imports supported by Nature Resource Network mean that the future of wombats in European zoos is looking good!